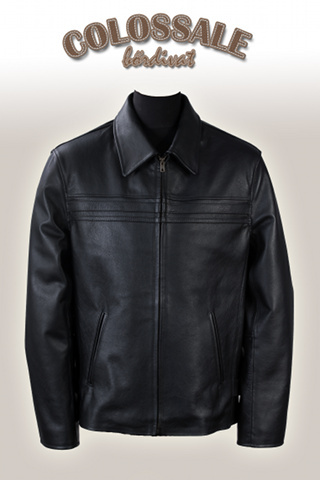 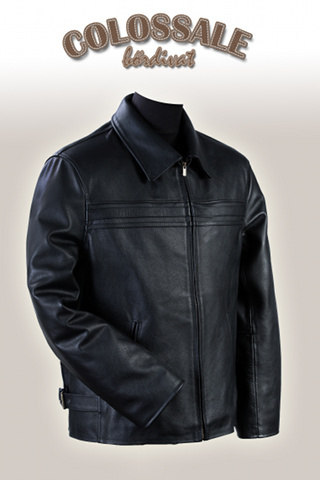 Classic, straight cut leather jacket with chest trim. 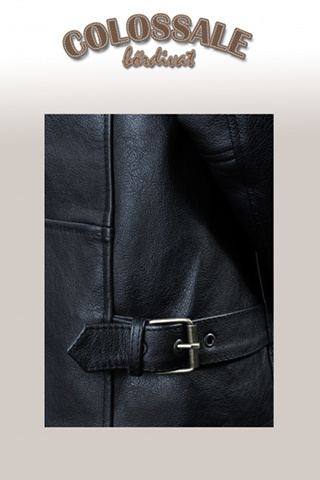 You can narrow your waistline with a buckle to make it better for you. 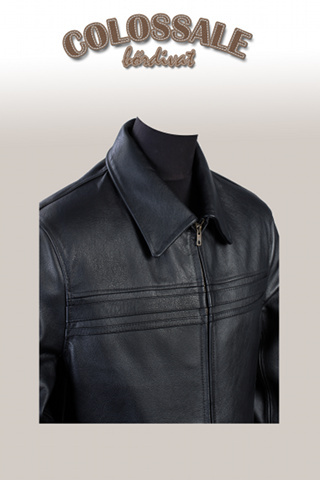 You can even choose a standing collar or, if desired, other leather.